Since the inception of the Pirelli Performance Centre (PPC) concept in 1998, the objective was to raise standards within the tyre trade. 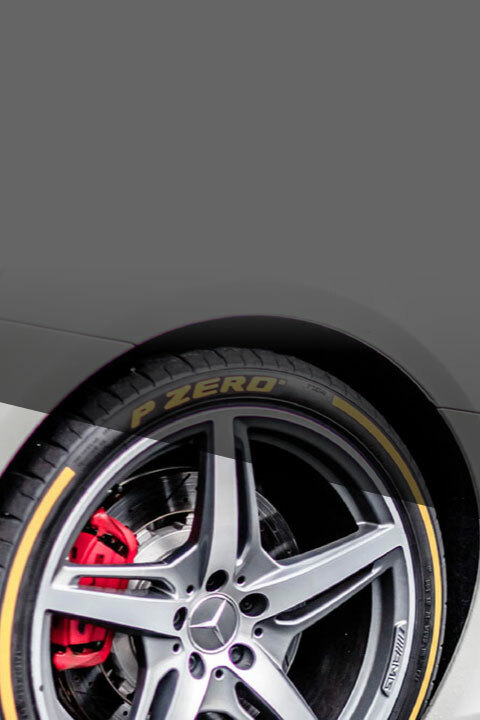 PPC's are a network of hand-selected UK tyre dealers, each having passed a rigorous audit to ensure the highest levels of customer-focused service and technical proficiency allowing Pirelli to provide assistance and advice with confidence through these outlets. In order to join the PPC programme, a depot must meet the required high standards and complete demanding technical audits to ensure Pirelli tyres are fitted only as they should be - perfectly. All PPCs must pass a constantly evolving technical, 130 point, audit twice a year. This audit has increasingly demanding criteria as Pirelli continues to push the industry forward. Also, PPC's are visited by mystery shoppers between the interim audits in order to remain a part of the Pirelli Performance Centre network. PPC depots must show cutting-edge expertise in recommending, fitting and balancing high-performance tyres with first-class customer care and attention & maintain the highest standards. Pirelli's "Power is nothing without control" mantra is manifested entirety by the PPC network. A commitment to leading levels of technical proficiency married with a tailor-made tyre design philosophy allows drivers of high-end vehicles to achieve peak performance with confidence. This same passionate approach to tyres is replicated across the entire Pirelli Performance Centre network. Bush Tyres is proud to be a part of the Pirelli Performance Centre scheme and has several Pirelli-approved centres across the country. And, with customer service valued by Pirelli's expert auditors to give the same level of technical know-how, you can be assured you'll find our teams welcoming, informative and knowledgeable. To get the best from your high performance car, visit your nearest Bush Tyres - Pirelli Performance Centre. Look for this sign at participating Bush Tyre centres.